What Preys on Peppered Moths? Peppered moths are a type of insect that is distinguished by its camouflaging wing colors, which are mostly black or mostly white. The lighter-colored moths are known as “typica,” because when the species was first discovered it was the typical coloring. The darker-colored moths are called “carbonaria” or “melanic,” and arose during the mid 19th century to become the most common coloring of peppered moth. Peppered moths have a high population in England and can be found at rest, hidden on the branches of trees, during the day. It is widely believed that there are two contrasting colors of peppered moths in existence because the moth may have adapted to abrupt environmental changes in order to survive. Originally, the bark of the trees the moths populated were more white in color, so the “typica” type was the best fit for survival. By 1830, however, pollution from an industrialized Europe began to change the color of the trees to a darker, sootier black. At this time, researchers noticed that there was a much higher concentration of the “carbonaria” type in the population, which is perhaps due to an adaptation. The coloring of a peppered moth is important because it must blend well with the color of the trees it lives on so that it can hide from predators when at rest. Birds and bats are the most commonly recorded predators of peppered moths, which means the moth can be hunted during the day and at night. Birds will frequently attack when the moths are at rest against a tree, which is why it is so crucial that the insect blends into its surroundings. It is much easier for birds to locate and prey on moths that do match the bark of the tree it is resting against, making it an easier target than a moth that does match. 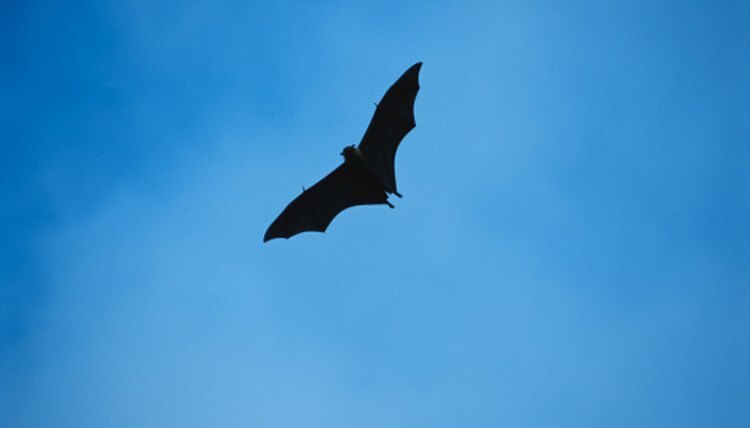 Bats hunt peppered moths at night, while the insects are active and in flight. It will be more difficult for bats to locate the moths simply by color in the dark night, so bats often rely on sonar to locate the moths. Still, coloring can factor into the moth becoming prey even at night, because a darker-colored peppered moth might be able to evade a predator more easily than a lighter moth in flight. The peppered moths of both colors can fall prey to birds and bats, and the population of each coloration has risen and fallen at different times of environmental change. As the environment in Europe becomes cleaner with advancements in technology and a reduction of pollution, the lighter colored moths have shown an increase in population once more, and might one day overcome the “carbonaria” type again. Brittany Luongo has been writing professionally since 2011. She has been published in "Yellow Edenwald Field," a journal for poets and artists. Luongo is graduating from D'Youville College with a Bachelor of Arts in English writing and a minor in written communications.